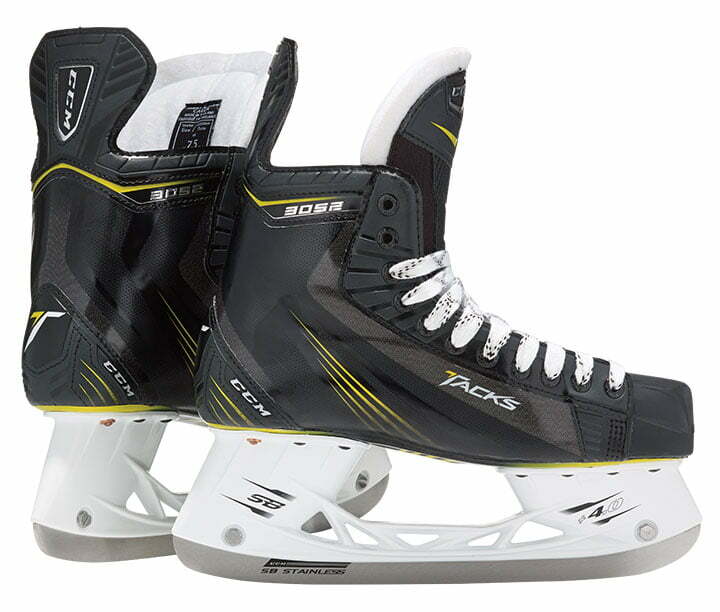 CCM Tacks 3052 Sr Hockey Skate | Sports Etc. ATTACK FRAME Nylon ATTACKFRAME™- Greater structural support than standard construction. CORE Formula T3- Good support, stiffness and comfort for the occasional user. LINER Microfiber- For fit and comfort. TONGUE 7mm high density felt with foam insert. Enhances the fit and comfort. Sports Etc Performance To Value Rating– 7 out of 10- A good value for any low to mid-level skater. Generously cut for added comfort.